It’s a balmy Sunday night in late June, post–Pride parade, and I’m about to eat dinner in a pristine blue dumpster in a dead-end SOMA street. The event, Salvage Supperclub, seeks to draw attention to food waste and encourage home cooks to not throw out less-than-ideal-yet-still-edible stuff. But the bottom line: a dumpster dinner better be delicious or I’m out of here. On tonight’s menu: wilted basil, bruised plums, past-their-prime tomatoes, vegetable pulp, surplus squash, whole favas (we’re talking even the tough outer layer), garbanzo bean water, dairy whey, sweet potato skins and overripe, peel-on bananas. These ingredients, some of the most frequently tossed food items in home kitchens, don’t exactly whet the appetite as advertised. Self-taught private chef Perlsweig grew up with a grandfather who survived the Depression. Food waste was unheard of in that house. Still, some things did get tossed on the compost pile. “Once I started working on this project I realized that there is a lot we can all do to cut down on how much we waste,” says Perlsweig, a Mission District resident who has worked as a buyer for cookware company Williams-Sonoma and uses the Instagram handle @the_bruisedpeach. 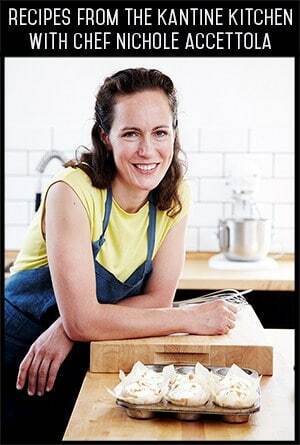 Perlsweig enjoys the challenge of reclaiming food for the supper club. aquafaba, the viscous canned chickpea liquid most of us dump down the drain, replaces egg in a basil aioli; it also works as a whipped cream substitute on top of a banana split. Silent stars: melon seeds in cocktail concoctions; stone-fruit-pit-infused sweet syrups; fava pods soaked and steamed and used in stock. At this dinner, an entrepreneurial type dubs the vegetable-pulp-patty sliders a potential food truck hit. The wine flows, the fog moves in, diners wrap blankets around their shoulders and open pocket hand warmers. There’s a comfortable lull in conversation and into the void comes a city Recology truck, which noisily pulls up right beside the dumpster. This fortuitous turn of events perks up the guests, now mostly intent on keeping warm between courses. You couldn’t script this stuff if you tried. Treuhaft is delighted. There’s a videographer from Discovery Digital Networks on hand to document the sight and sound of the city’s garbage guys on their routine rounds picking up this city’s recyclables and waste. Not captured on camera: the aroma of decomposing organic matter destined for a landfill or compost location. It’s a timely and pungent reminder, as if the assembled group needed one, that in this city of excess and squalor, where many eat like kings and many eat barely enough to stave off starvation, much still goes to waste—even in a prideful, progressive city like San Francisco. Her message to home cooks is clear and succinct: Just. Do. Something. We aren’t single-handedly responsible for the country’s food waste crisis and we aren’t single-handedly going to solve the problem, either. But we can all do a better job of managing our own excess at home. 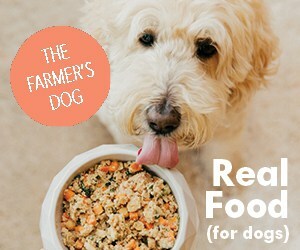 Her focus is waste prevention, not food recovery, and she practices what she preaches. She learned the hard way that beets weren’t her thing: she’d roast them, wrap them and store them in the refrigerator, and promptly forget to eat them. So for now that root vegetable is off her grocery list. 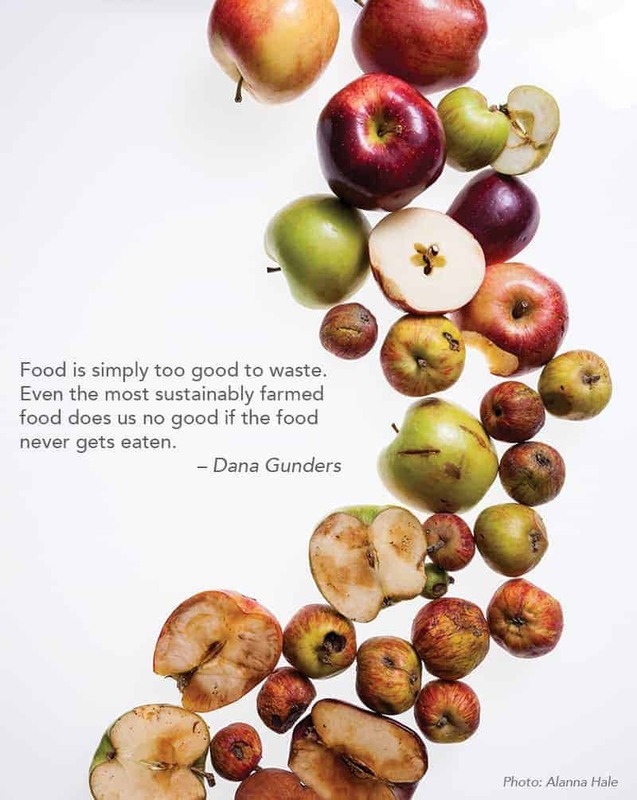 Gunders sees ways to avoid food waste at every stage of the food supply chain; from the farm to the fork to the landfill. “Given all the resources demanded during food production, it’s simply critical that the least amount possible is needlessly squandered on its way to our plates,” she says. While it might be convenient to point the finger at Big Ag or Big Business or Big Food Service Providers, the reality is that regular eaters—people like you and me—account for a significant amount of food waste. We are all to blame or, put more gently, we can all be part of the solution. A 2016 report by a coalition of nonprofits, businesses and government officials called Rethink Food Waste Through Economics and Data (ReFED) estimates that food waste costs the U.S. $218 billion a year. More than 40% of that waste, according to ReFED data, occurs at home. Further, homes combined with consumer-facing businesses—that’s supermarkets and grocery stores, restaurants and institutional food service providers—represent 80% of all U.S. food waste. Released in March, the report aims to reduce food waste by 20% within 10 years, a goal also shared by the Obama Administration. With those kind of figures front and center in her mind, Gunders wrote Waste-Free Kitchen Handbook, an accessible guide offering home cooks practical, actionable strategies to minimize food waste. (See sidebars for tips.) Wasting less doesn’t require hard work, fancy gadgets or elaborate spreadsheets. It’s all about small changes, says Gunders, tiny tweaks in people’s daily food rhythms that can prevent food from spoiling before it gets eaten. Let’s face it: food waste is an unsexy subject. Waste is an icky word. And there’s the guilt factor: who doesn’t feel bad about tossing past-its-prime produce in the compost? Nobody wants to be scolded for letting perfectly good food spoil. Or reminded that a recent farmers market foraging got a little out of hand. So waste prevention gurus like Gunders have their work cut out for them. 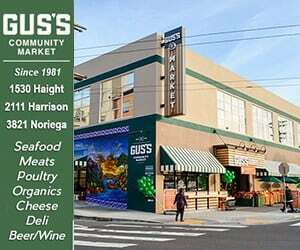 Gunders is a warm, witty, friendly presence on panels on this subject, including the super wonky True Cost of American Food conference hosted by the U.K.-based Sustainable Food Trust in Fort Mason in April. She channels co-panelist Mary Risley when she says “there’s so much ‘freaking’ food out there going to waste.” Her candid comment is backed up by slides featuring staggering statistics. Consider: 40% of all food grown or produced in the U.S. does not get eaten. It’s like buying five bags of groceries, Gunders writes in her book, and then leaving behind two of the bags in the grocery store parking lot. The average American throws away around $30 each month in uneaten food; a family of four wastes about $1,500 a year in uneaten food. Cutting food losses by just 15% would redirect enough food to feed more than 25 million hungry Americans every year at a time when one in six here are food insecure. A sizable chunk of that wasted food is never even harvested: oddly or undersized or unsightly produce is frequently plowed back into the ground because farmers don’t have a viable market for it. Crazy-making stuff. It’s not just an economic disaster. It’s an environmental one: add squandered resource costs to the equation and it’s a wonder food waste isn’t an election issue. Food production consumes 10% of the U.S. energy budget, 50% of the country’s land and a whopping 80% of all the fresh water used in the U.S. 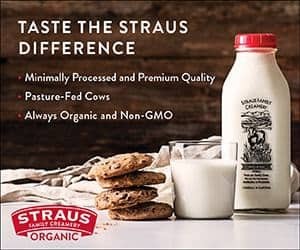 So wasted food wastes these limited resources, too, and all that uneaten food ends up rotting in landfills where organic matter accounts for 16% of U.S. methane emissions. Food waste, then, plays a significant role in the global climate crisis. Case in point: That uneaten hamburger that lands in the trash? The amount of water squandered on that wasted bun and meat is equivalent to a 90-minute shower, according to Gunders. Crazy-making stuff, part two. At the heart of this saga, says Gunders, are two basic realities that stymie change: Food represents a small fraction of the average American budget, making the financial cost of wasting food a low priority from a monetary, if not moral, perspective. And inefficiency and excess are built into our food system: the more food consumers waste, the more food industry players can sell. This is a relatively new problem: we waste 50% more food in the U.S. now than we did in the 1970s. 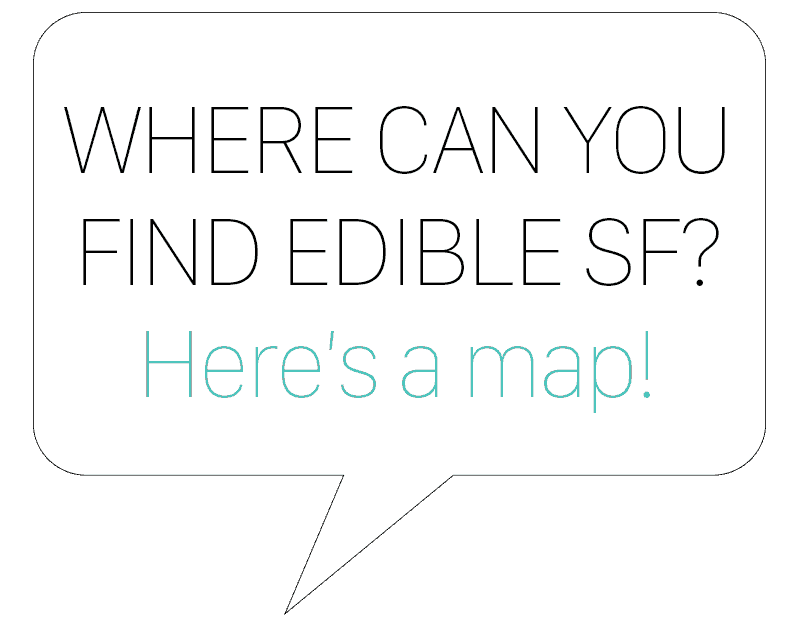 San Francisco’s independent restaurants say they do their part in the war on food waste. Root-to-stalk cooking and snout-to-tail butchery? All the cool kids do it and have done so for some time. It’s practically a badge of honor in restaurants around town. Veterans like Gayle Pirie of Foreign Cinema and Suzette Gresham of Acquerello, who oversee large-scale restaurants with a lot of employees, have long had reputations in their kitchens as anti-waste crusaders. Repurposing food into delicious dishes at staff meal, preventing plate waste, and reimagining leftovers in popular menu items are a point of pride at these establishments. Same holds true for their whole-animal butchery; the restaurant has two full-time in-house butchers. Sous chef Jonny Meinke rattles off the way the kitchen uses every last part of a beast: different kinds of meat transform into sausages, charcuterie, burgers, braises and ragus. All the kitchen’s jus or sauces are made from meat reductions. Skins get turned into aspic, a savory jelly. Bones go into stock. Organ meat is the main ingredient in pâtés, mousses and terrines. Animal lard is the kitchen’s main cooking fat. 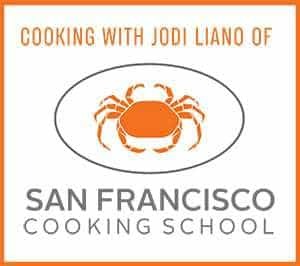 Preserving techniques extend the life of seafood: ‘anchovies get pickled, salmon salted and turned into gravlax. Cooks Cryovac and freeze things like pig ears for future use. “Every kitchen wants to minimize waste because food waste is a waste of money and every restaurant owner is looking for ways to save money, so finding creative ways to use everything is encouraged,” says Meinke. Lots of local restaurants tout their farm-to-table pedigree. But it’s more than a buzz phrase for chef Teague Moriarty and chef-turned-farmer Matt McNamara, the duo behind Sons & Daughters, a Michelin-starred restaurant near Union Square. Most of the produce for this intimate fine-dining spot comes courtesy of their 83-acre farm in the Santa Cruz Mountains. Dark Hill Farm grows roots, greens, fruits, seeds, sprouts, flowers and herbs, and produces honey, eggs and meat for the restaurant. Kitchen scraps are returned to the farm, where they’re cycled back into the farm’s compost program and animal feed. This beyond-organic closed-loop system, from restaurant to farm and back again, is rare in San Francisco—surprisingly so. These culinary partners say a lot of planning goes into making sure the farm and restaurant are in sync. Sometimes the kitchen is forced to deal with the challenges of real farm life. “I like the creativity that comes with adapting to what’s actually coming out of the ground,” says Moriarty. “It keeps everyone in the kitchen on their toes.” McNamara is in constant touch from the farm, checking in on size and taste and determining the best moment to harvest and when to cut down on water for maximum flavor for the restaurant. Naturally, such a large-scale undertaking doesn’t come cheaply, which may explain why so few restaurants do it. Startup services like San Francisco–based Souper Seconds connect farmers stuck with seconds and surplus who might ordinarily take a loss on such crops, as well as those simply looking for additional markets for their prime organic produce, with restaurants and small food producers who can happily put this fruit and veg to good use. Souper Seconds clients have included restaurants such as Flour + Water, Outerlands and The Tradesman and food producers like INNA Jam. Farmers who have worked with the service include Blue Heron Farm and Frog Hollow Farm. “There’s a lot of food lying idle in the fields that could be put to good use,” says Souper Seconds cofounder Megan Morris. “We’re trying to [redirect] produce that would get plowed back into the ground or otherwise not get sold or eaten into the right hands.” It’s a boot-strappy affair: the three owners of Souper Seconds, two of whom are former farmers, began by picking up boxes at farmers markets and delivering them to their food clients. They now ship pallet-size orders via their mobile app. Meanwhile, organizations that move a high volume of meals—such as hotels, hospitals and other institutional food settings—look for innovative ways to solve or prevent food waste. 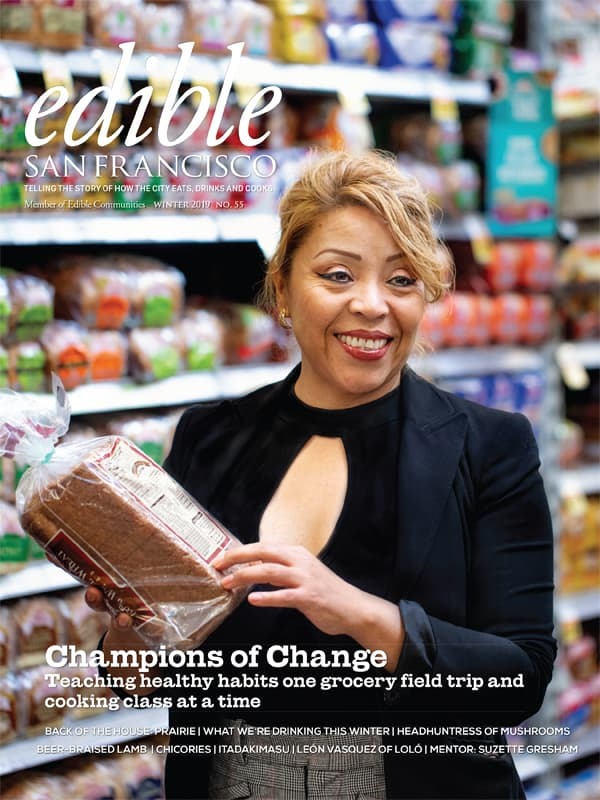 The San Francisco Hilton donates excess to places like Glide Memorial Church and Food Runners. Uneaten banquet food is redirected to employee meals. The hotel works closely with meeting planners to get accurate meal counts for attendees and has implemented waste-prevention strategies such as the deconstructed box lunch, where a guest can choose separate items to grab-and-go, versus an entire box filled with different food items, many of which were going to waste, says Jo Licata, community projects manager for both Hilton Union Square and the Parc 55 hotels. Large food-services providers on college campuses, corporate dining facilities, hotels and hospitals have also turned to the software-based service LeanPath. With this program, kitchen and restaurant staff measure, record and photograph what they throw away. The system comes with scales, a camera and a digital terminal for entering data about ingredients and quantities. The service can help lower food costs by identifying which foods are over prepared, overstocked or improperly cut. It can help identify potential solutions too; such as reducing food quantities at specific times of day, rethinking buffet containers or improving prep cooks’ knife skills. In the Bay Area, companies such as Google use LeanPath, as do colleges such as the University of California, San Francisco (UCSF). “We’ve used LeanPath for two years and saved about $60,000 annually in reduced waste costs,” says Dan Henroid, the UCSF’s director of nutrition and food services, who oversees several hospital campuses. Early on, the university learned it was wasting a large volume of egg dishes. Henroid says he spends more on liquid, cage-free eggs than anything else. The waste was addressed through changes to their service during a shift transition. The hospital has transitioned to a “build-your-own” bowl/salad and cook-to-order model to cut waste, too. Then there’s the waste-prevention efforts of Bon Appétit Management Company (BAMCO). This on-site restaurant company serves colleges such as the University of San Francisco and corporations including Google, Twitter and LinkedIn. In 2015, the institutional food service provider launched a program dubbed Imperfectly Delicious Produce, which rescues blemished, misshapen or otherwise cosmetically challenged produce that fails strict retail appearance standards and encourages chefs to include these fruit and vegetables in their menu offerings. The program has salvaged more than a million pounds of fruits and vegetables, according to Claire Cummings, the company’s waste specialist. BAMCO chefs, including about 50 accounts in Northern California, have found homes for this produce in soups, smoothies and sauces. In her tenure at BAMCO, Cummings has figured out that most food waste isn’t happening in the kitchen—it’s on the consumer side. To address that, the company has removed trays at its all-you-can-eat facilities, to cut down on plate waste. It offers sample tastes, so guests can try before they buy, and it runs food waste awareness campaigns such as “weigh the waste” events on college campuses. Let’s give the last word on food waste prevention to The Perennial, the new Mid-Market restaurant earning high praise and plenty of press for its wide-reaching approach to eco-conscious dining. 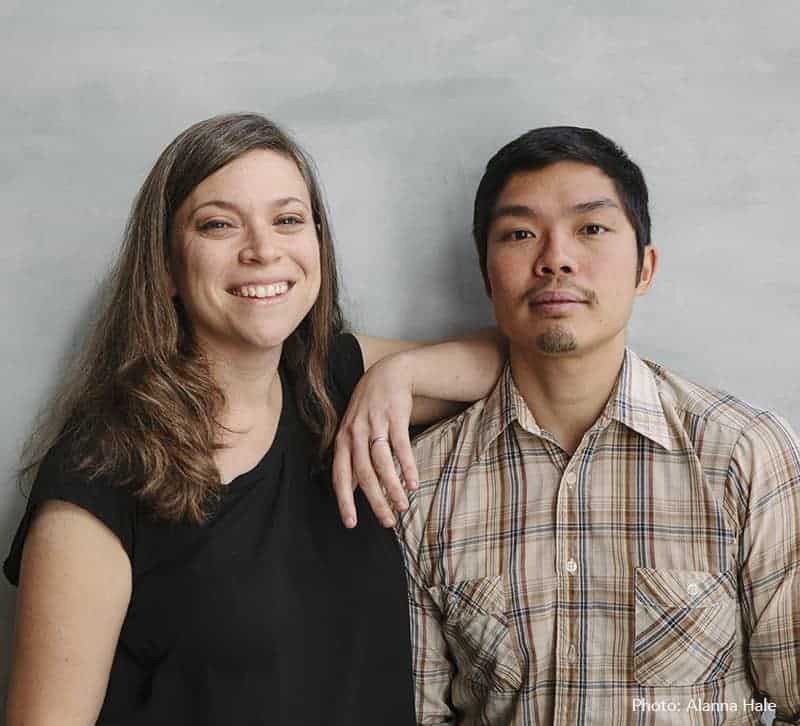 The restaurant is the brainchild of husband-and-wife restaurateurs Anthony Myint and Karen Leibowitz (above), no strangers to outside-the-box industry thinking. The pair can lay claim to the wildly popular, playful spots Mission Street Food (shuttered in 2010), the Danny Bowien-vehicle Mission Chinese Food and the high-end, philanthropically minded Commonwealth, also in the Mission District. The Perennial, their latest project, is ambitious. It was created with the ideal of having minimal environmental impact. These restaurateurs are gung-ho about making headway on reversing climate change through what they call “progressive agrarian cuisine.” That means a whole bunch of things, from efficient design and repurposed building materials to an aquaponic greenhouse in West Oakland and a rooftop garden in San Francisco. For the purposes of this story, know that food waste prevention is built into the very DNA of the restaurant’s blueprint. The couple, along with their kitchen crew headed by chef Chris Kiyuna, are serious about recycling, reclaiming and reinventing. The Perennial is the flagship restaurant for Zero Foodprint, a nonprofit venture launched by Lucky Peach editor in chief Chris Ying that offers guidelines for battling climate change in the food service industry. The restaurant serves up cocktails with a conscience (ice is considered a precious resource; the bar makes hydrosol—that’s a distilled and flavored water—from leftover ingredients like lemon zest or rose petals). Vegetables play a starring role on the menu. There’s attention to portion size and the place of animal protein as a flavor accent. There’s carbon-farmed meat and bread made with a perennial grass called kernza, which has a lower environmental impact than conventional wheat. Sounds righteous, yes? But at the end of the day, the food also has to deliver on the flavor and excitement front, or diners will go elsewhere. The menu has gotten nice nods on that score, too. It’s early, though, not even a year into this edible experiment in a large-scale restaurant. Still, Leibowitz is thinking big. She’d like to see The Perennial become a training ground for the next generation of farm-to-table chefs who worshipped at the altar of Chez Panisse and went on to spread a delicious revolution around the Bay Area and farther afield. Only this breed of cooks would also take it up a notch on the environmental side: making carbon footprint and food waste central concerns in their menu choices. 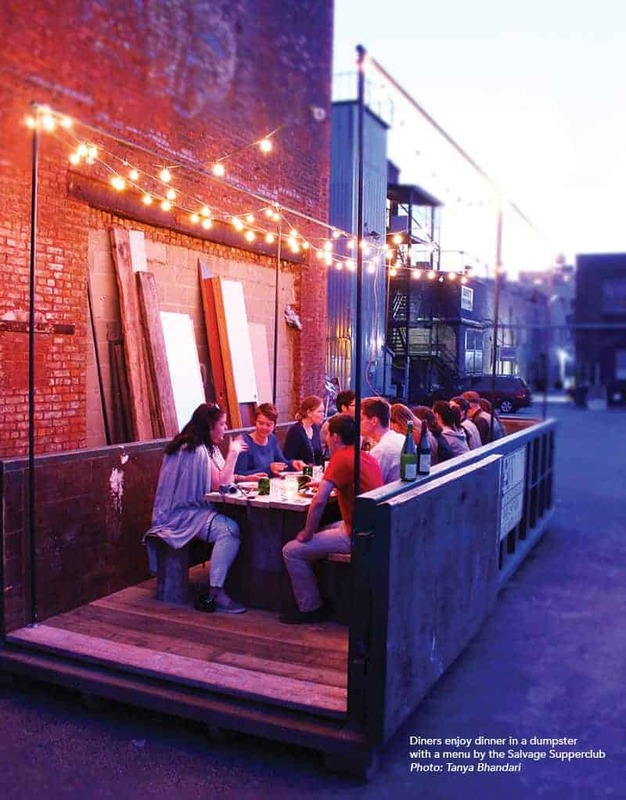 Could something like the Salvage Supperclub become a permanent pop-up? Or what about a dinner like the recent NRDC Sunday supper benefit held at The Perennial, dubbed Waste Not, Want Not? At that event, top chefs like Dominique Crenn, Traci Des Jardins, Nick Balla and Cortney Burns created elevated, elegant fare out of frequently discarded foods such as goat whey, fennel tops, fava shells, pea pods and fish cheeks. 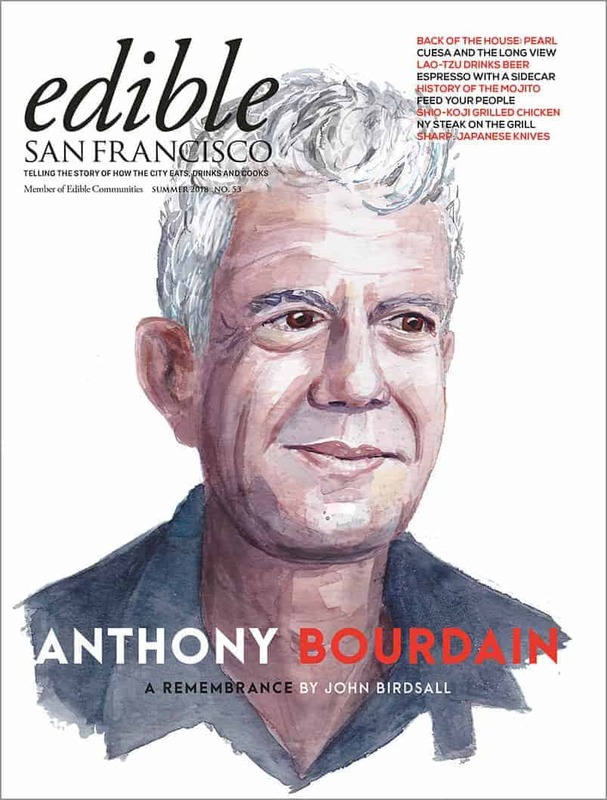 Wasted in San Francisco was originally published in the Summer issue © 2016 Edible San Francisco. Photos © 2016 Tanya Bhandari and Alanna Hale.